The Canadian Hemophilia Society, Manitoba Chapter (CHS-MC) invites you to join us at the Masquerade Fete; a mysterious and alluring culinary adventure at Delta Hotels by Marriott Winnipeg. We are excited to welcome the Delta’s new Executive Chef, E. Edison Antejos, to our impressive team of Winnipeg’s finest chefs. Our guest chefs have collaborated to deliver our 250 guests an exceptional dining experience. Who is behind that beautiful mask? The evening will begin at 6 pm with the cocktail hour. Our guests view the offerings in the silent auction while they mingle and sample the sponsored complimentary cocktails. Don’t let the delicious hot and cold hors d’oeuvres pass you by. They are a promise of what is to come! 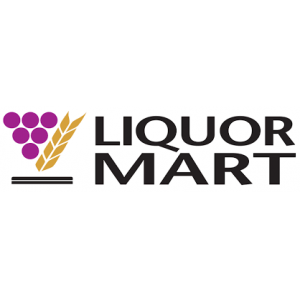 Dinner begins at 7:30 pm and each course of our Fete is expertly paired by a Product Ambassador from Manitoba Liquor Marts. A Masquerade Fete would not be complete without dancing! The evening concludes with dancing to the sound and lights of DJ Max. The Gala Dinner of Culinary Inspirations is CHS-MC’s most significant fundraiser. 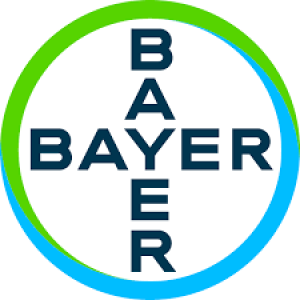 Proceeds from the dinner provide programs and direct services for families and individuals managing inherited bleeding disorders. To learn more about the variety of programs and services offered by CHS-MC, please visit Member Services. If you are unable to join us this year, we encourage you to consider purchasing a Support Ticket as a way to contribute to the success of the event. 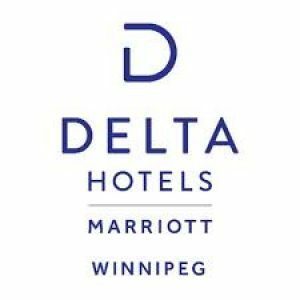 Delta Hotels by Marriott Winnipeg is offering our Gala guests a special room rate of $149 for the night of March 2nd. Please be assured that despite the information on the reservation page, this rate includes parking. Edison was born and raised in Vancouver BC; it truly represents his view and style and culinary perspective. Edison had early aspirations of being a Hotel GM, but cooking is his true love; which he confirmed at his last tenure as the Executive Restaurant Chef at The Deck Kitchen & Bar in Richmond. Throughout his career, Edison has worked with Bocuse D’or Past Laurates through Hyatt, Hilton, Marriott, Fairmont & Delta Hotels. Edison loves food and everything that comes with. 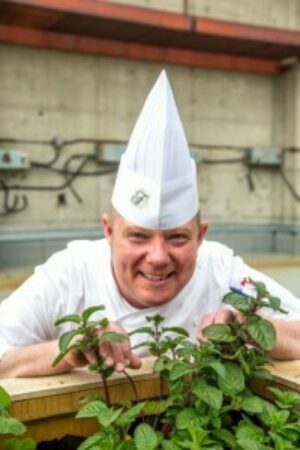 Recently appointed Executive Chef of Delta Hotels by Marriott Winnipeg, he hopes to be an addition to the already vibrant food scene in Winnipeg. Chef Kristel Pastorin is a Red River College culinary graduate and restaurant chef. She started her career at St. Charles Country Club as a student and trained under the esteemed and highly regarded Master Chef Takashi Murakami where she learned how to be highly disciplined, creative and resourceful. 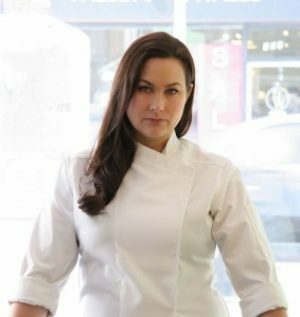 Her next chapter began by opening a new restaurant called Sydney’s Fine Dining at The Forks, where she was hired as the executive pastry chef. After eight years of pastry and fine dining, she then moved on to The Grove Pub & Restaurant and took over as the executive chef. 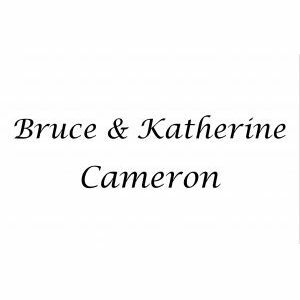 Kristel, husband Chef Norm Pastorin and their partners are now owners and operators of five restaurants – The Grove Pub & Restaurant, The Cornerstone Bar & Restaurant, The Black Bird Brasserie, The Canteen on Stafford, and The Canteen on Tache. Kristel and Norm juggle all of these businesses as well as two children who are 12 and 10 years of age. Kristel also contributes to several charity events throughout the year that keep her busy. Although her time and attention are stretched thin, Kristel has never lost her enthusiasm and passion for the culinary industry. 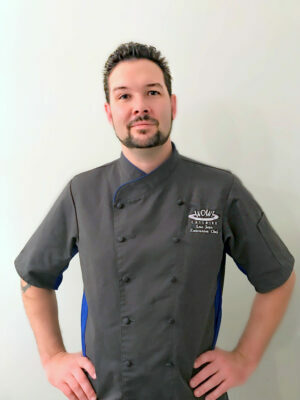 Tim Palmer, Fairmont Winnipeg’s Executive Chef, proudly deems himself ‘made in Manitoba’ just like the food he serves. His food contains Manitoba sourced, organic, and sustainable ingredients whenever possible, including signature honey, herbs, and vegetables cultivated right on the hotel’s roof top. Tim’s passion for food planted its roots during his childhood, right here in Winnipeg. Tim soon came to realize that being a chef would not only be his career, but also his passion for life! His culinary adventure has taken him all around the world, from the Rocky Mountains to Australia, Bermuda and beyond, as he focused on soaking up the culture and unique flavours from around the world. Now he returns to his prairie home, excited to share a world of experience. Food has the ability to create a bond that is boundless and universal across cultures. It is the perfect accent to moments shared together; a quiet, romantic breakfast for two, creative and enticing dinner with friends, or a nutritious snack with your little ones – food brings people together. His food draws inspiration from his experiences and focuses on innovative ideas to stay ahead of the trends. Through partnerships with outstanding local suppliers and artisans, he brings you authentically local dishes with a story to tell. Tim loves to create great food and make delicious memories for everyone who sits at his table! Having begun his culinary journey at the young age of fifteen, Luc has over 25 years of experience in the kitchen. From the Southern regions of France, London England, Tylosand Sweden and Brisbane Australia, Luc has consistently proven his culinary expertise and made a name for himself around the globe. In 2018 Luc took the reins as partner and executive chef for WOW Catering. Luc also has a television show on the French CBC called “La Main a La Pate” stay tuned for season 2 coming out spring of 2019. 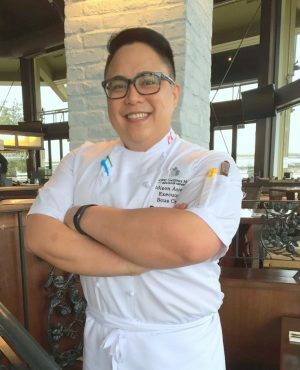 Chef Edward Lam was born in Hong Kong and came to Winnipeg in his teen years. He did not pursue a career in the food industry until he opened his first Japanese restaurant, Miyabi, in 2003. He was a self-taught sushi chef and this is where he developed his passion and interest in food. When they first opened, Edward moved to Lobby on York as their head sushi chef to develop a new flair of sushi in a steak and seafood restaurant. In 2012 Edward took on a new challenge, partnering in a 200 seat Chinese restaurant in Chinatown. This added a new dimension to his knowledge of cuisine. It wasn’t until the summer of 2013, when Edward settled and took over Yujiro Japanese Restaurant as Head Chef/Owner. Edward and his partners are also owners and operators of GaiJin Izakaya and a new project at the True North Square food hall. You can always find Edward researching and looking for inspiration in developing new creations for his customers. While he did not undertake traditional professional training, he was always and continues to be determined and focused. He never takes a break and is always looking for new ways to improve and upgrade his own skills and techniques. 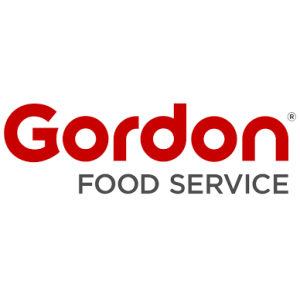 You can say his passion for food drives him to the next level and to bring exceptional surprises. 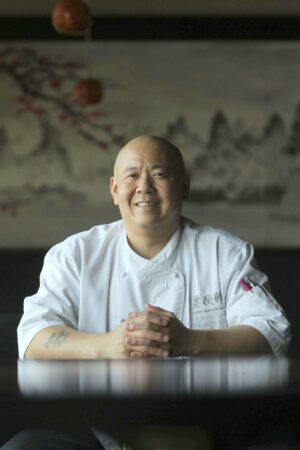 Chef Billy Lai was born in Winnipeg. While he hasn’t undergone professional chef training, it is his passion for enjoying food and cooking that drives him. Billy started out his career as a cook at a local Japanese restaurant and moved up to sushi chef. 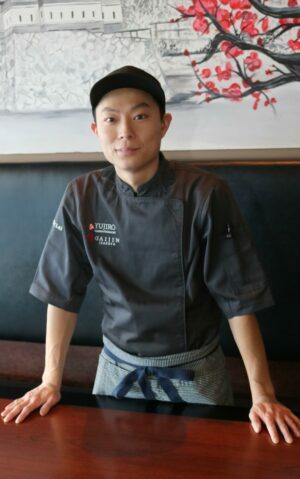 He worked in Japanese restaurants in other cities, but in 2013 he joined Chef Edward Lam at Yujiro Japanese Restaurant and really began advancing his skills and creativity. His inspiration not only comes from his knowledge of Japanese cuisine, but also from his Vietnamese roots. He likes combining the two and putting a twist to his dishes. With the opening of GaiJin Izakaya and a new project at the True North Square food hall, Chef Billy keeps himself very busy – but this only drives him to continue to advance and bring out his creativity.